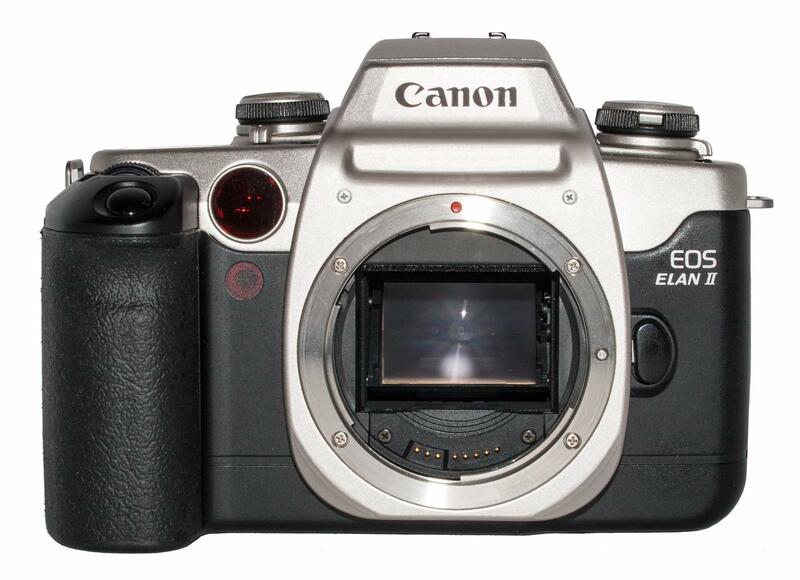 The two tone finish sets this camera apart from the earlier Elan. 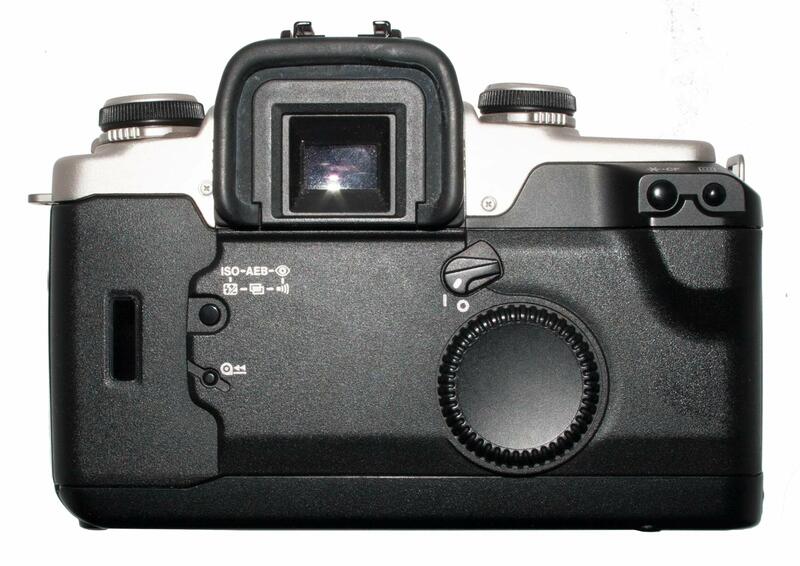 The new AF Mode Dial is on the right of the camera next to the LCD Displaywindow. Inside the Elan II is the same as the Elan. X-synch at 1/60th to 1/125th sec. 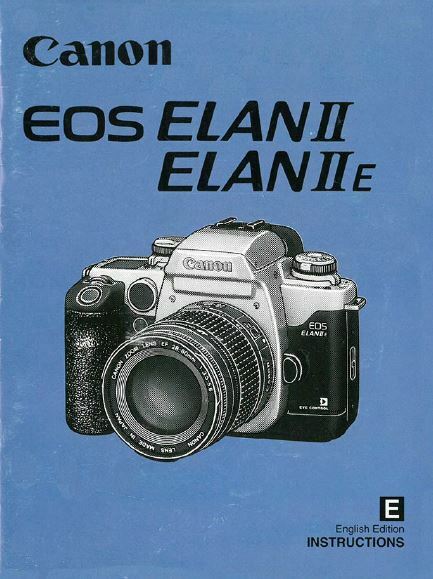 Notes: The Elan II is very much a continuation of the original Elan camera. It came in a two tone, black and aluminum, finish. 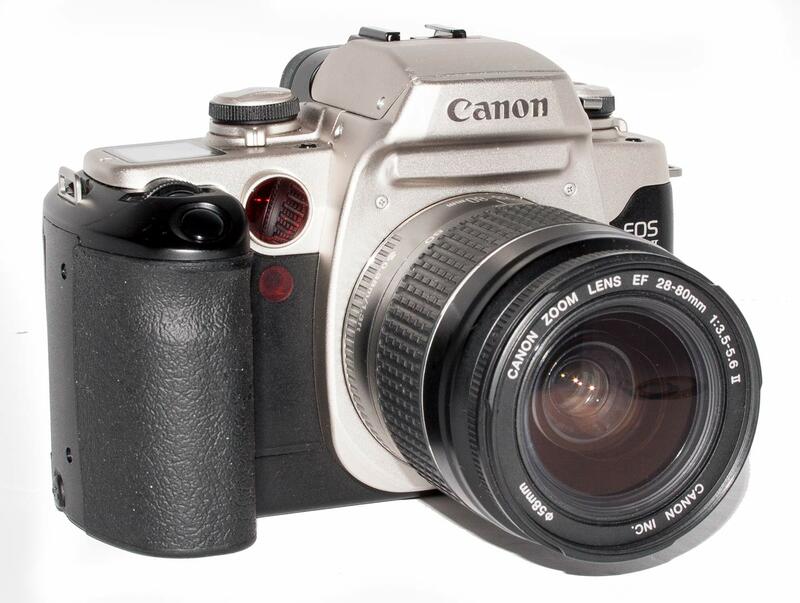 The body was basically the same plastic with metal lens mount. Canon moved the dials around a little. They actually added what they called the AF mode dial with which to select the focusing mode, One Shot, AI Focus or AI Servo. There is still the Command Dial where you can select Manual, Av, Tv, P and full auto among other modes, just like my 60D. At the front is the Main Dial set on edge just above the shutter button. And on the back is the Quick Control Dial for the input of various instructions. There are three focus points in this model and which point is controlling focus is selectable. 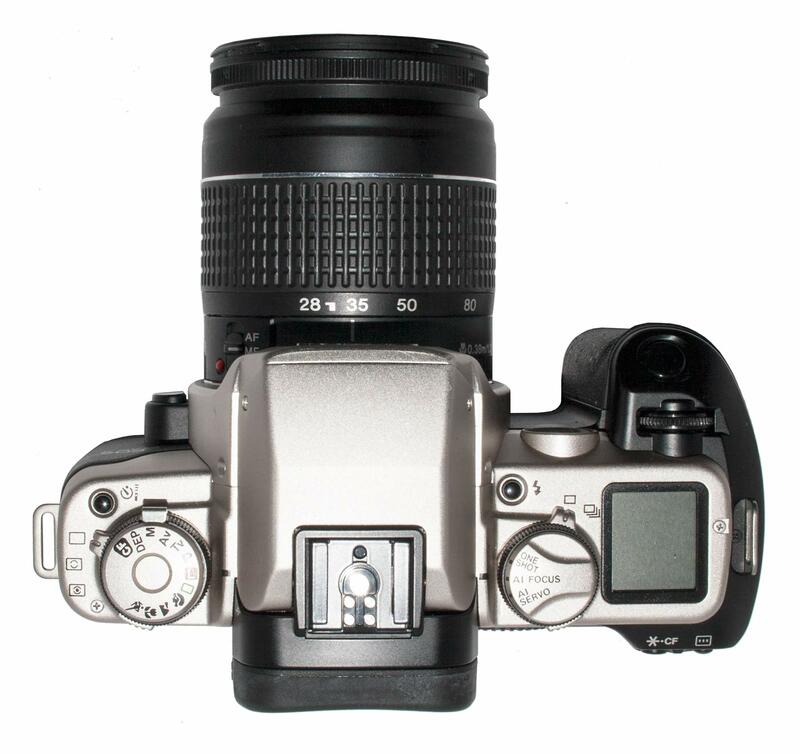 The three pints are visible in a horizontal line across the center of the viewfinder. In low light or low contrast situations a red auto focus assist light briefly illuminates the scene while the camera focuses, just as in the original Elan. 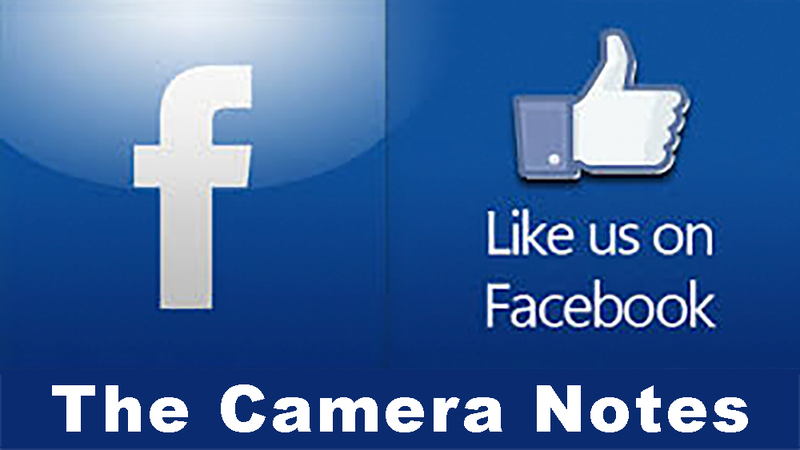 The built in flash no longer adjusts automatically for three focal lengths. 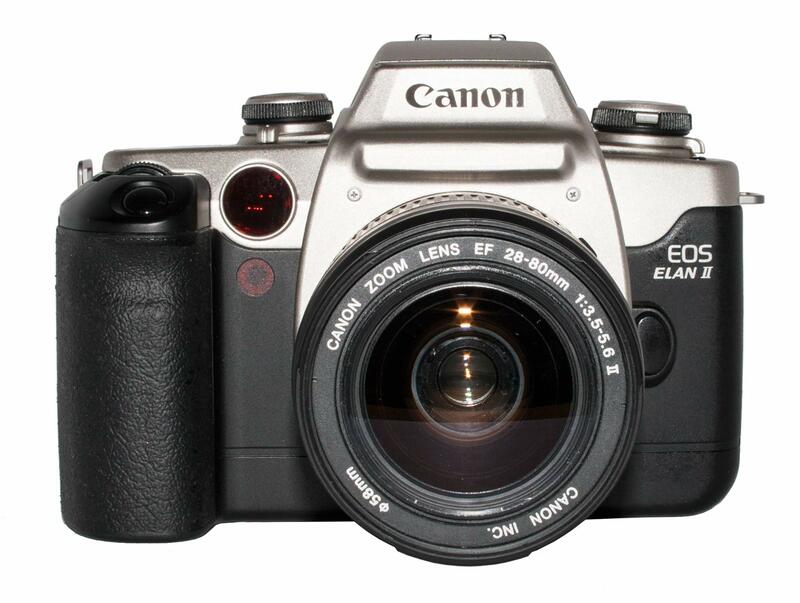 The camera used a BP50 Battery Pack and GripTwo speedlites were designated for the Elan, the 380EX or the 540EZ. 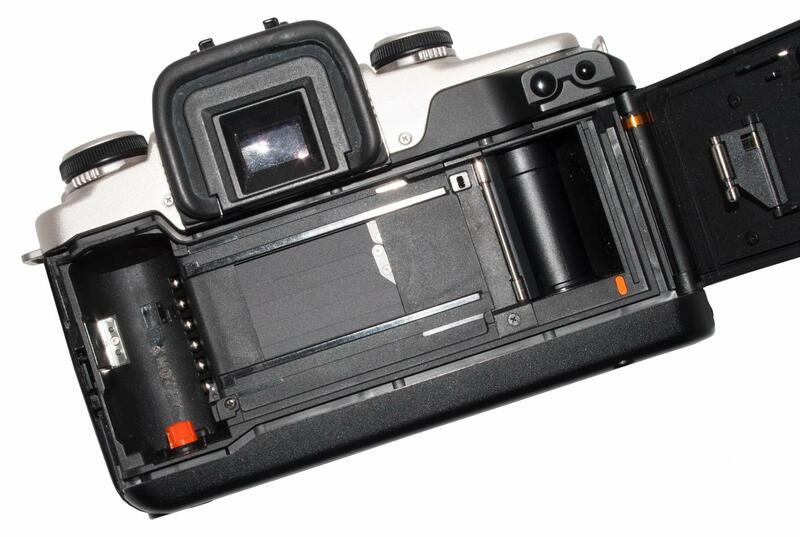 Unlike the Elan’s GR-70 grip which added no functionality to the camera, the Elan II was paired with the BP-50 which at least allowed the use of four AA batteries to power the camera.and added a shutter release button to the top right corner when the camera was held in the vertical position. 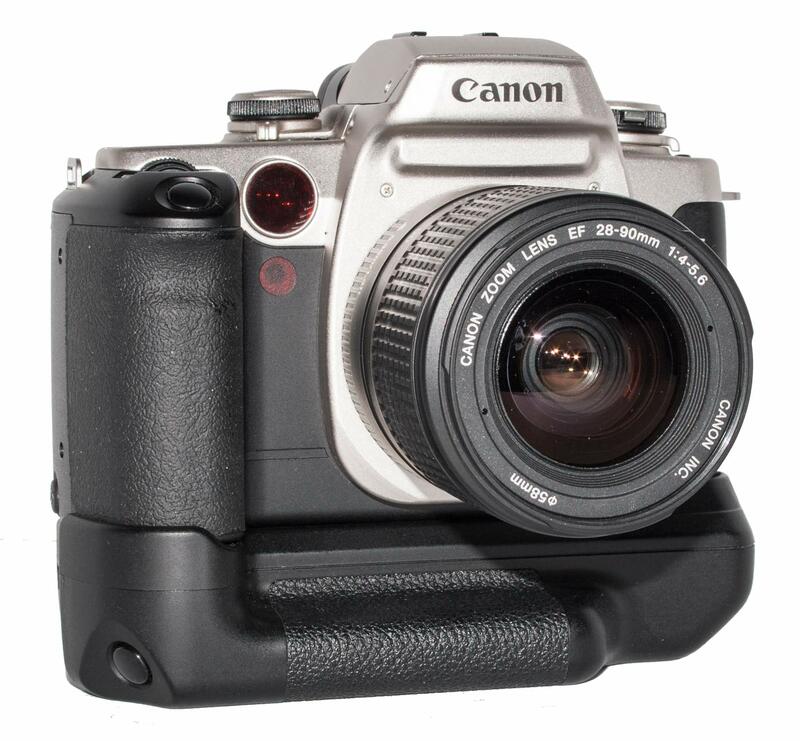 The BP-50 mounted on the Elan II. The BP-50 looks quite modern. The added shutter release button is visible in this picture in the lower left corner. 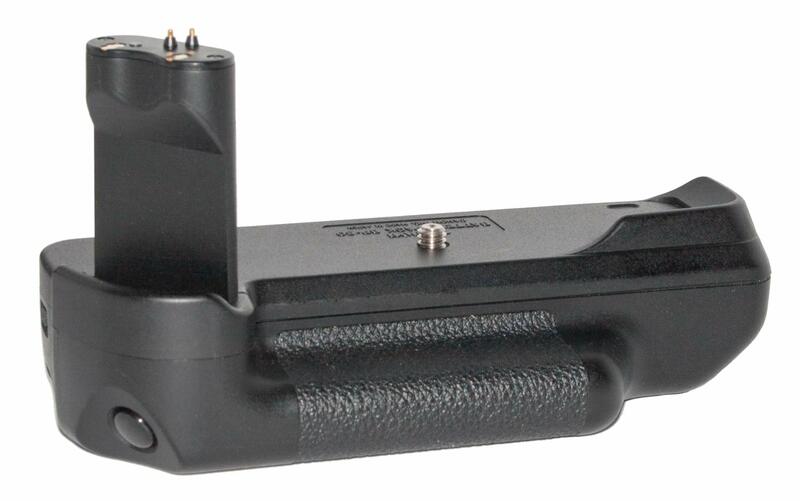 No other controls are provided on the Grip except for an on-off switch. 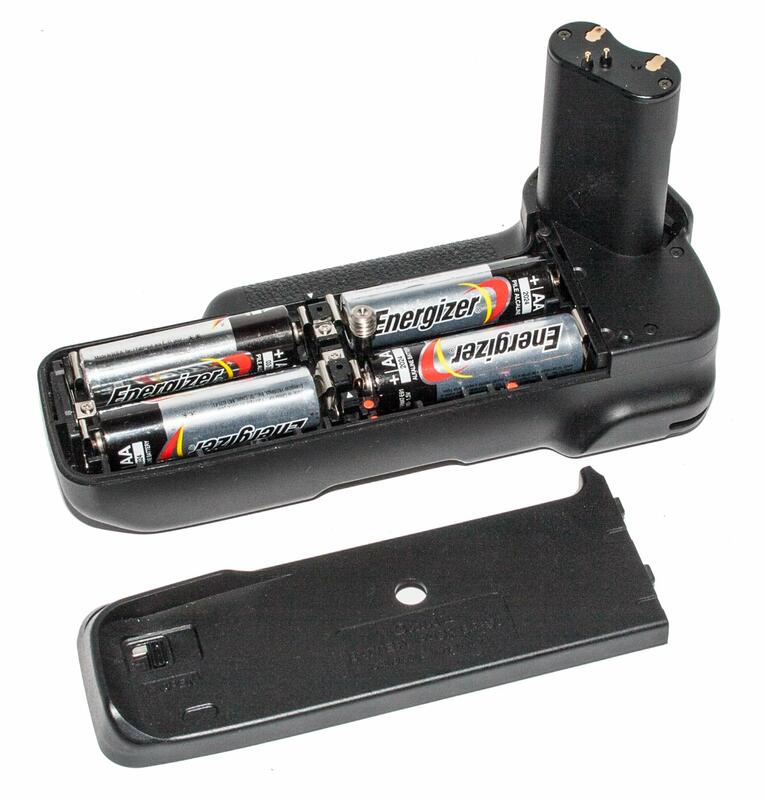 It holds 4 AA batteries which replace the 2CR5.